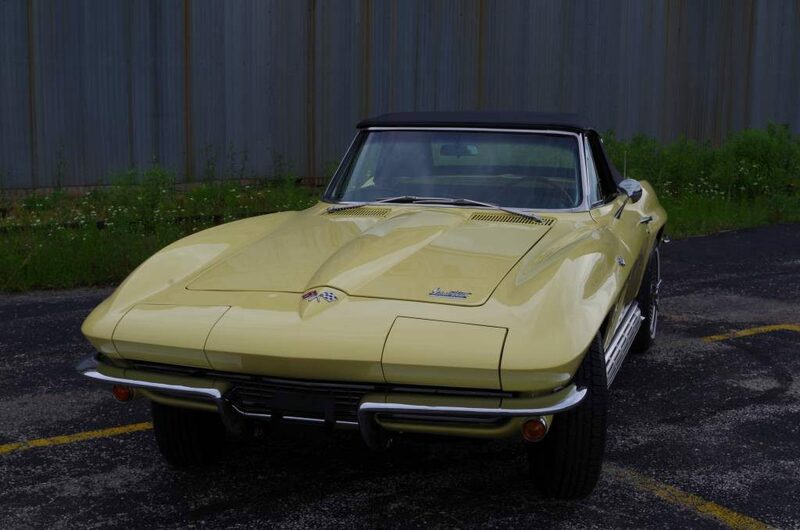 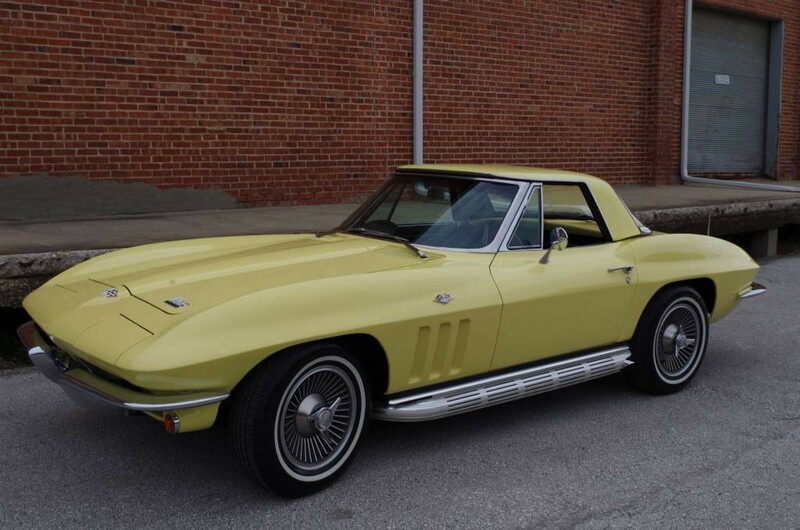 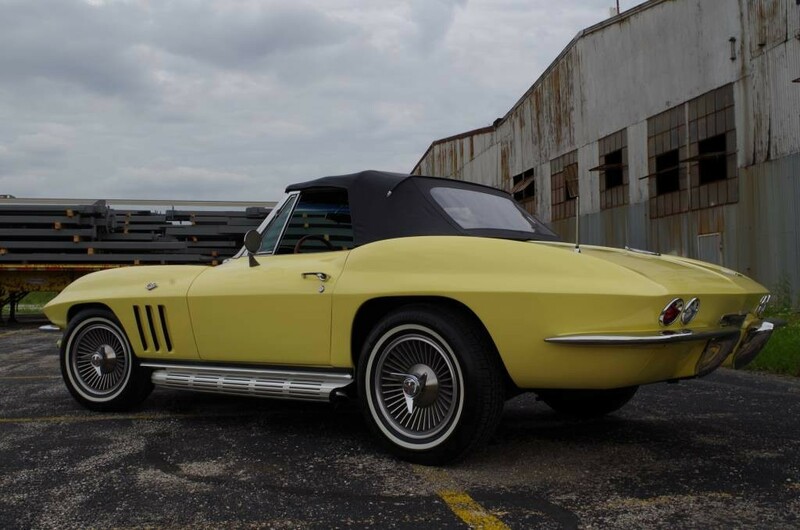 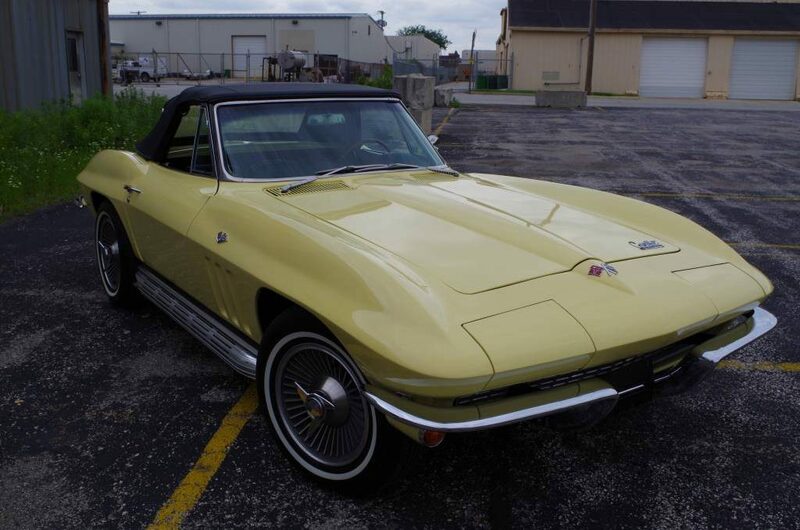 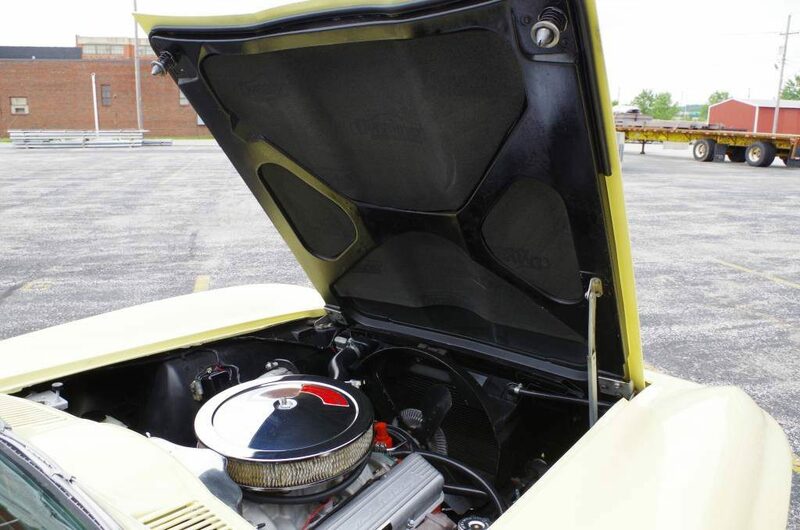 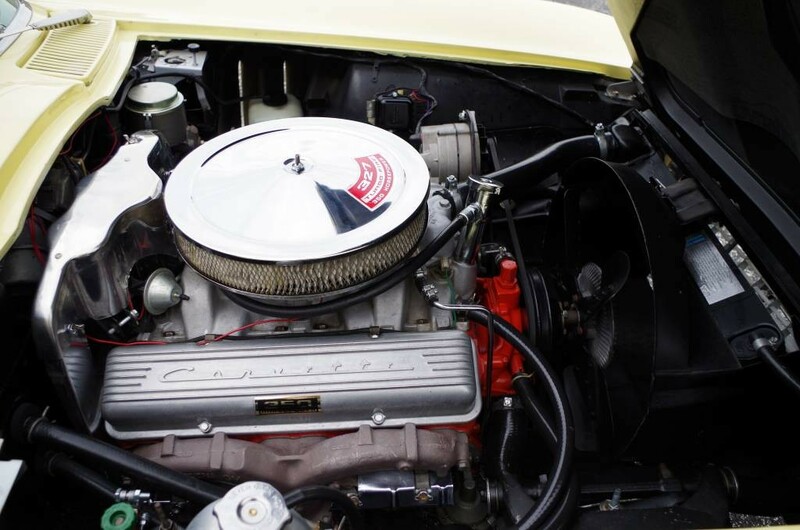 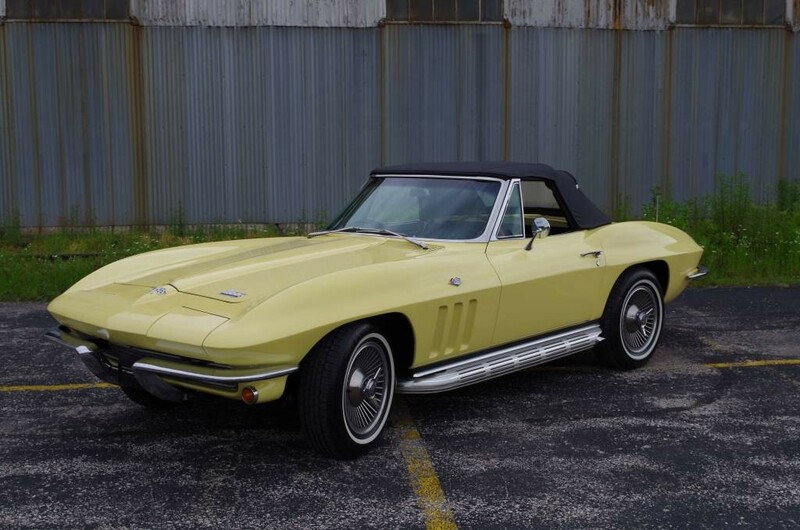 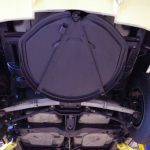 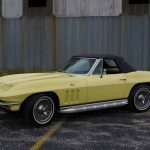 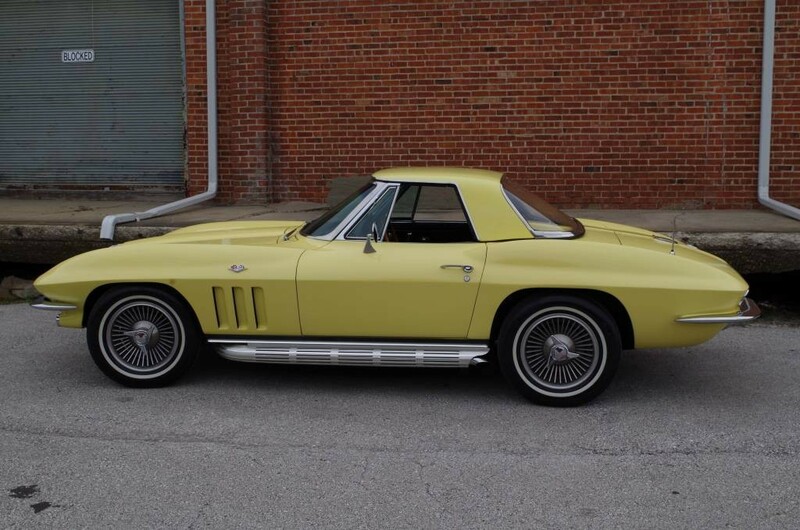 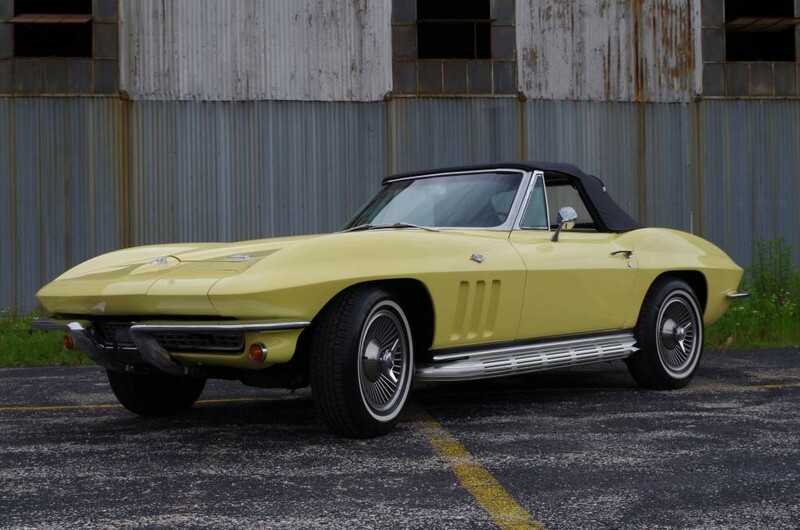 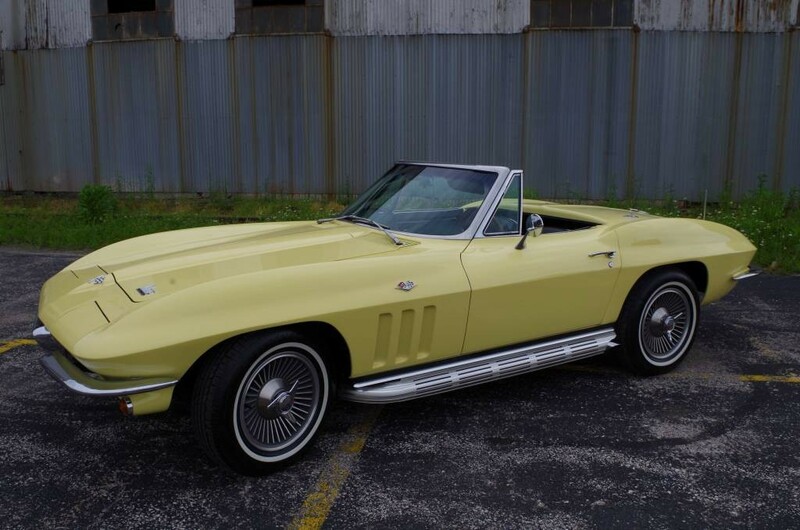 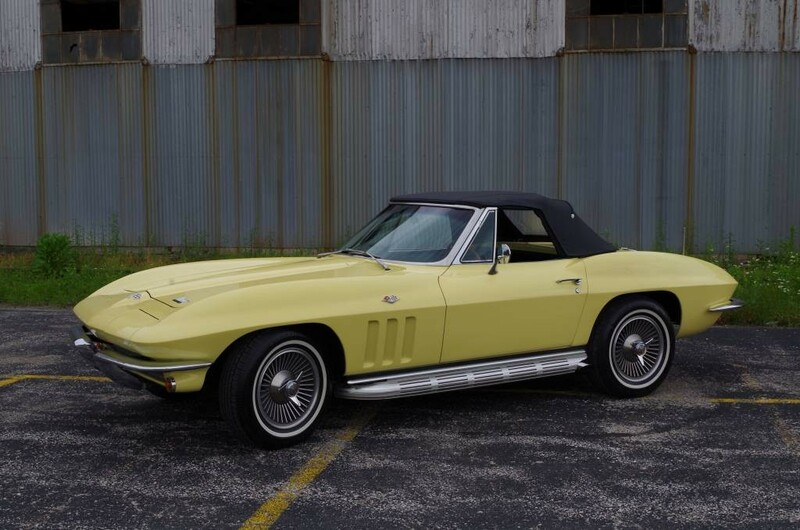 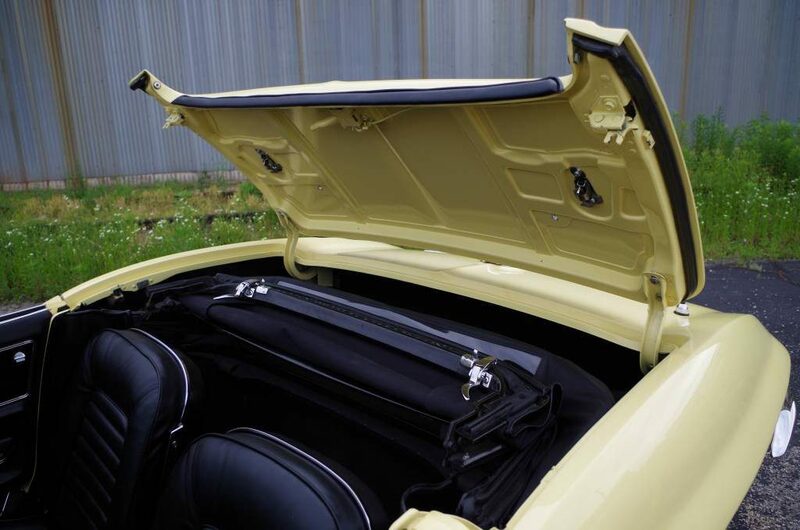 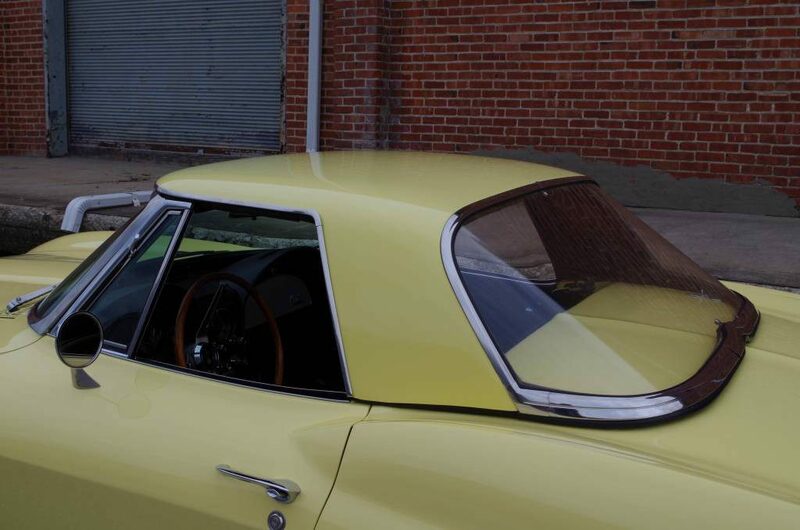 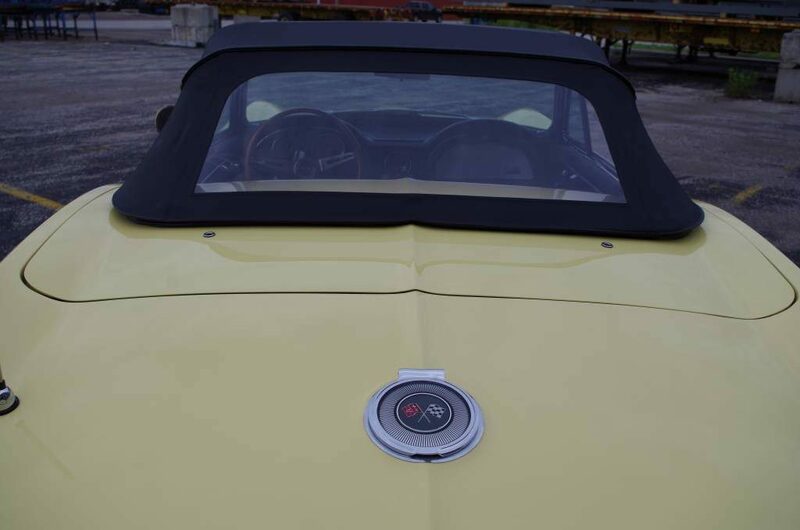 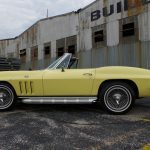 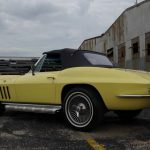 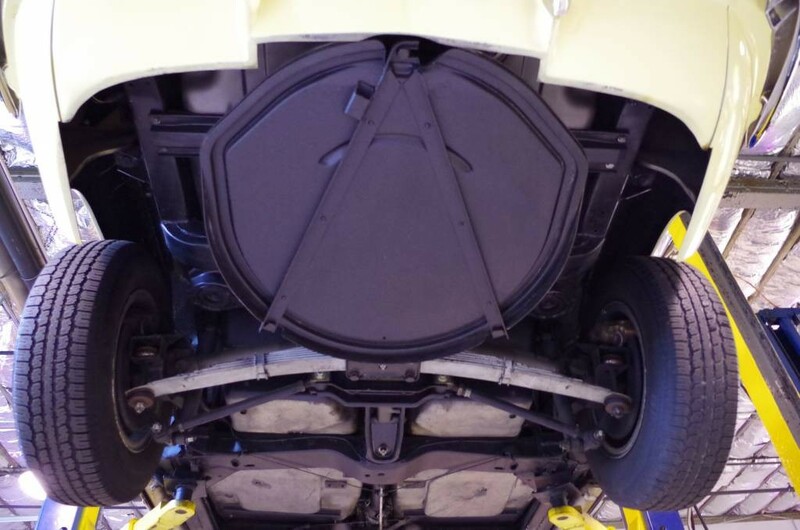 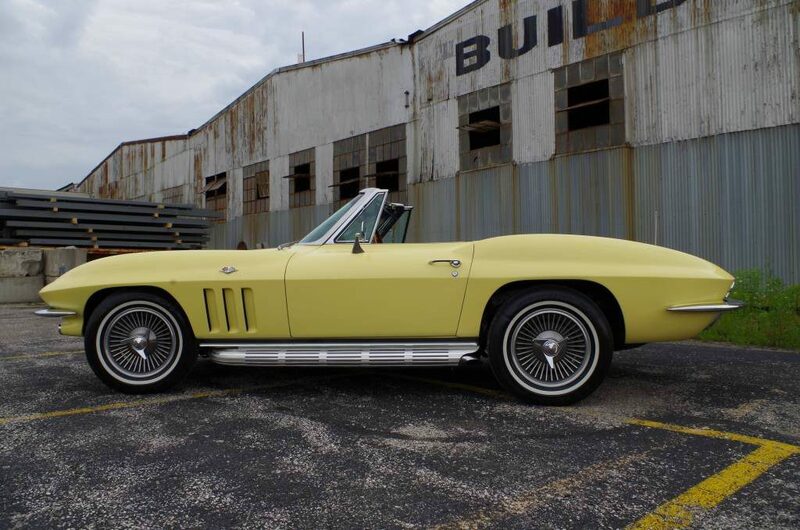 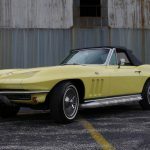 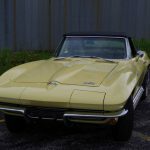 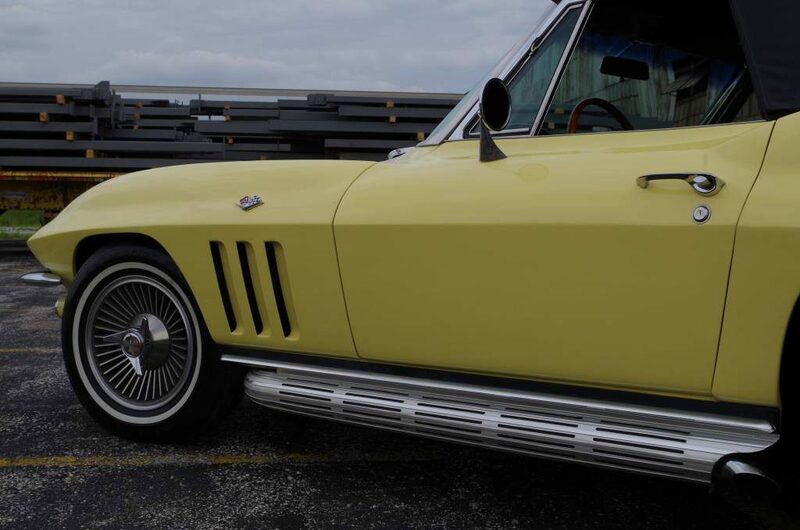 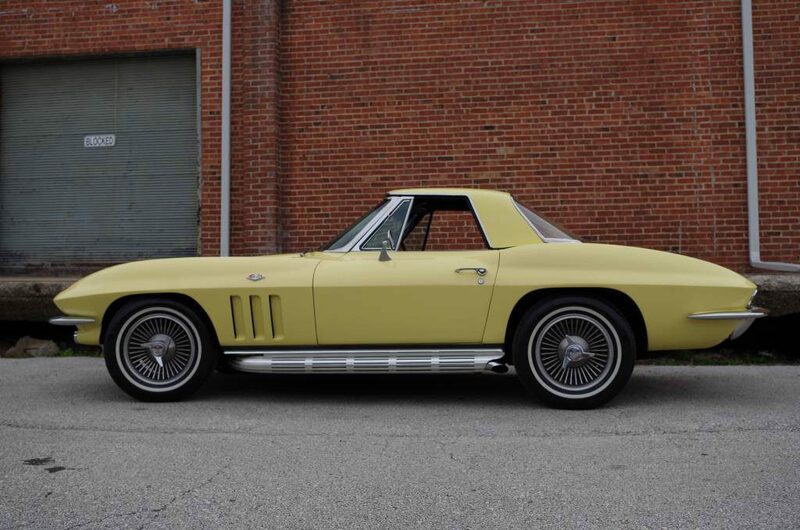 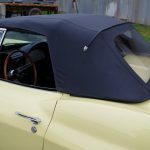 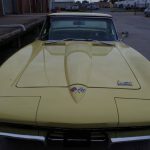 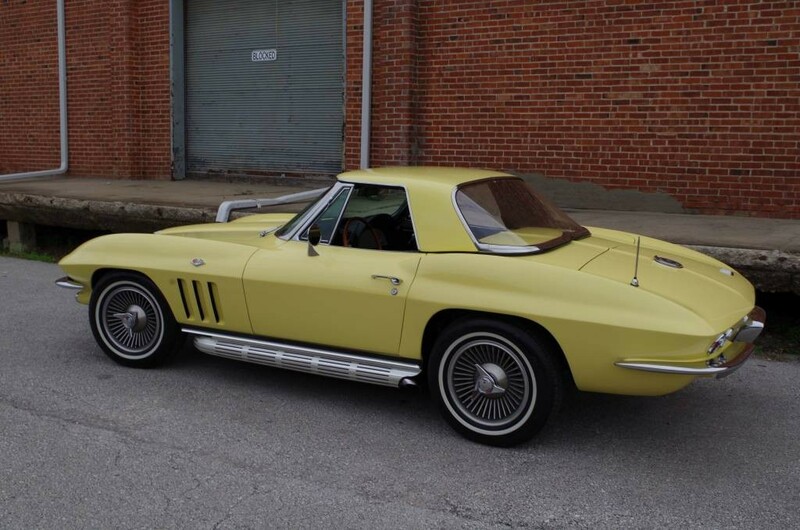 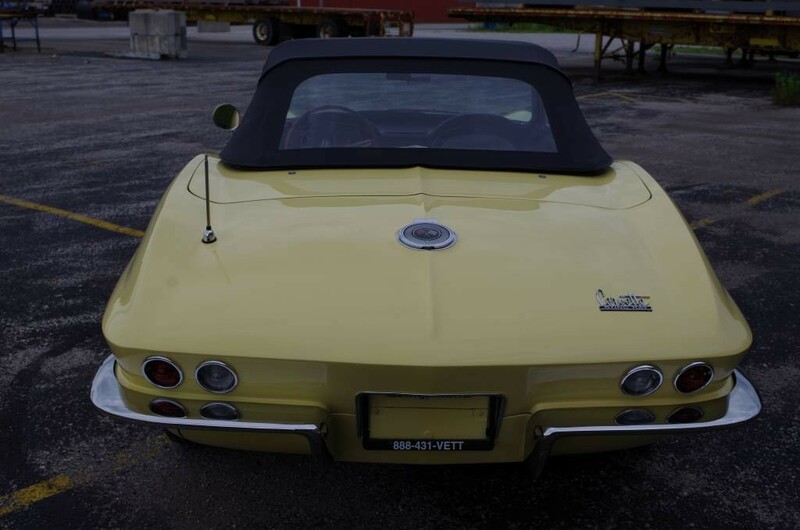 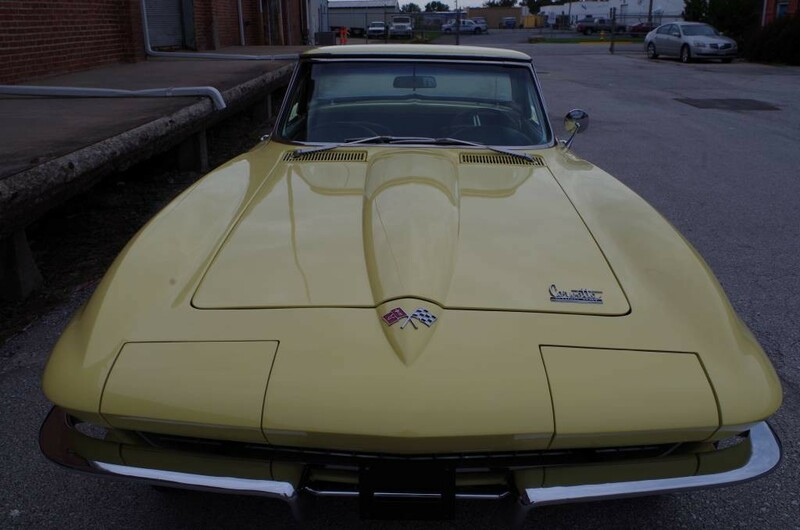 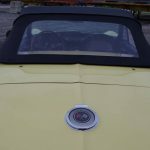 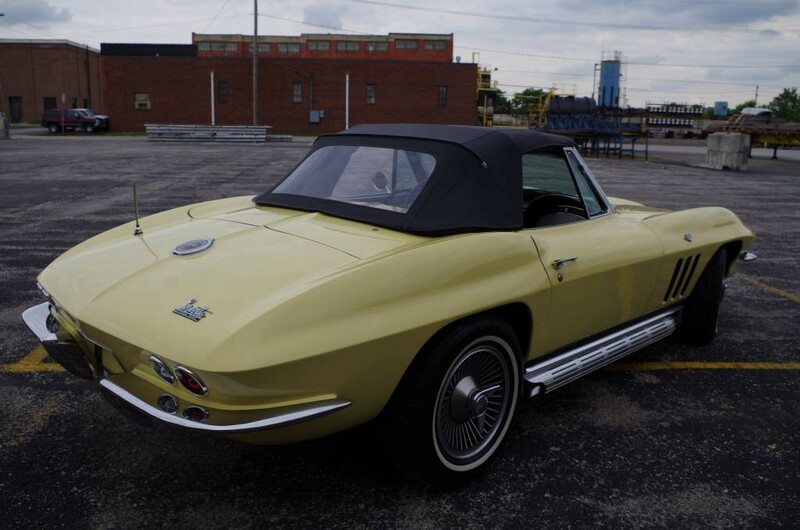 1966 Corvette CV 2 Tops Yellow/Black …SOLD !!! 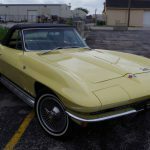 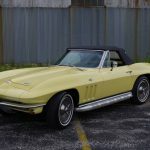 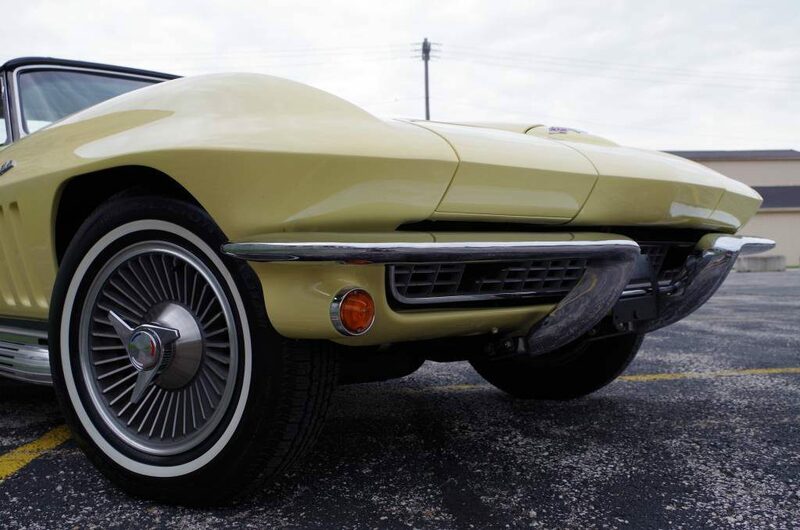 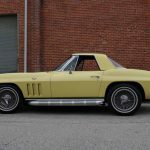 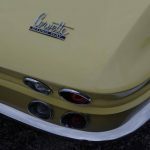 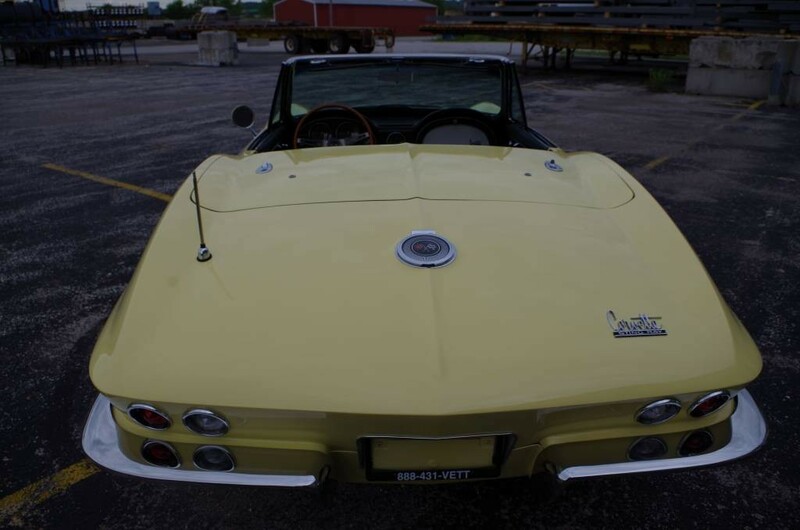 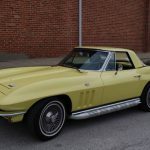 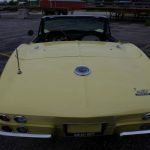 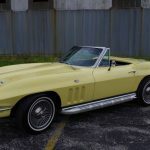 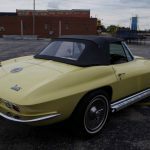 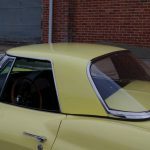 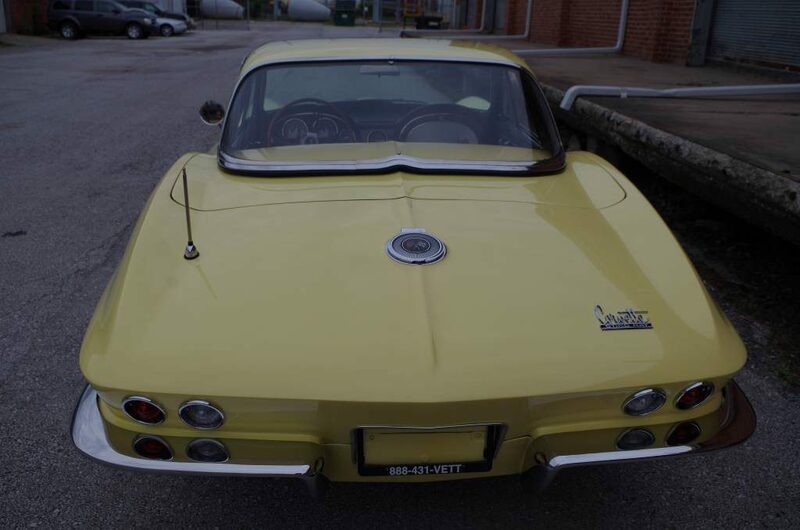 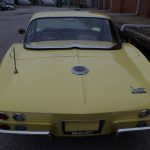 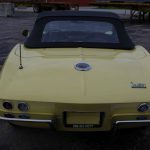 This 1966 Sunfire Yellow Corvette is splendid example of what we believe to be an excellent older body-off restoration. 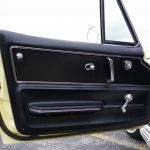 The lines are clean, the paint is virtually immaculate, and the attention to detail is apparent You can see the detail of the restoration in everything, down to the rosette rivets and the bonding strips. 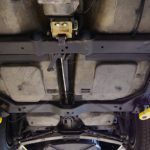 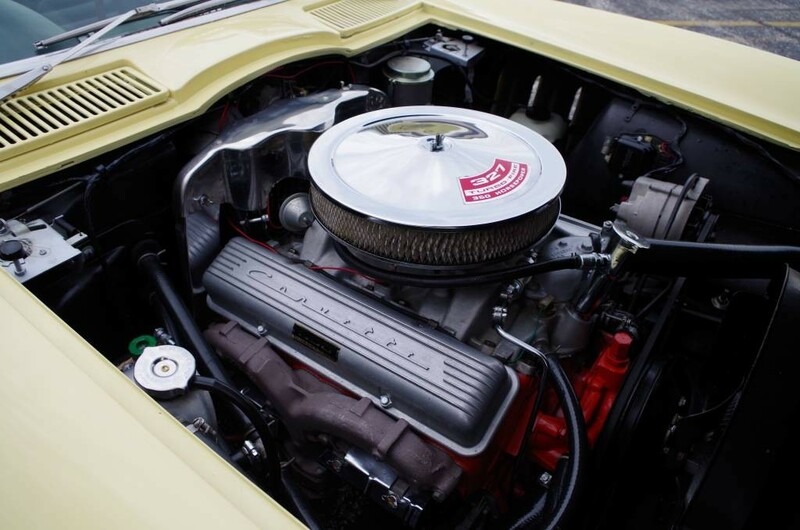 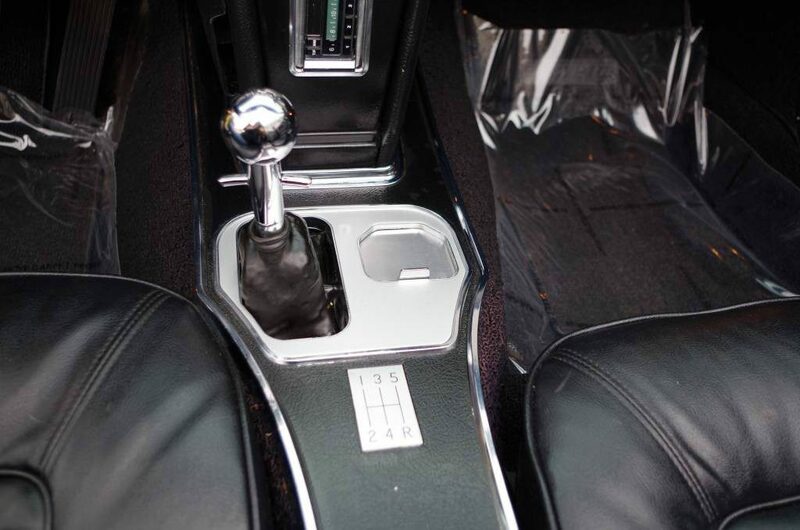 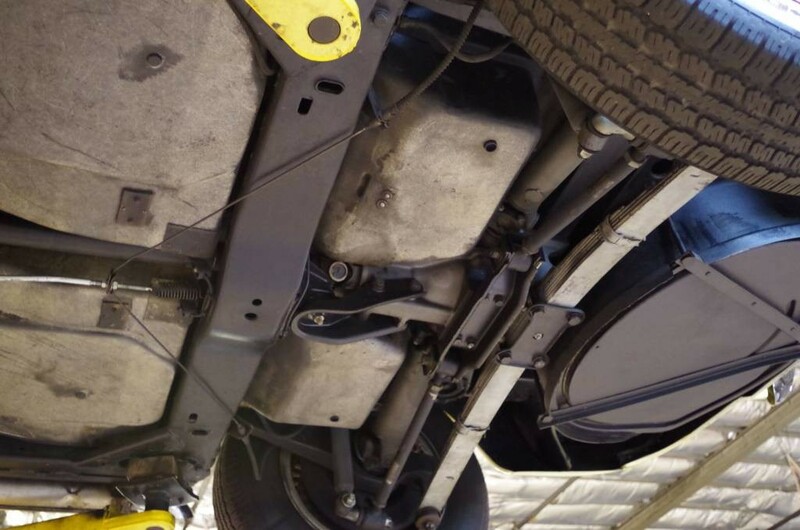 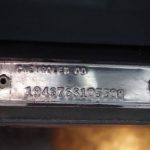 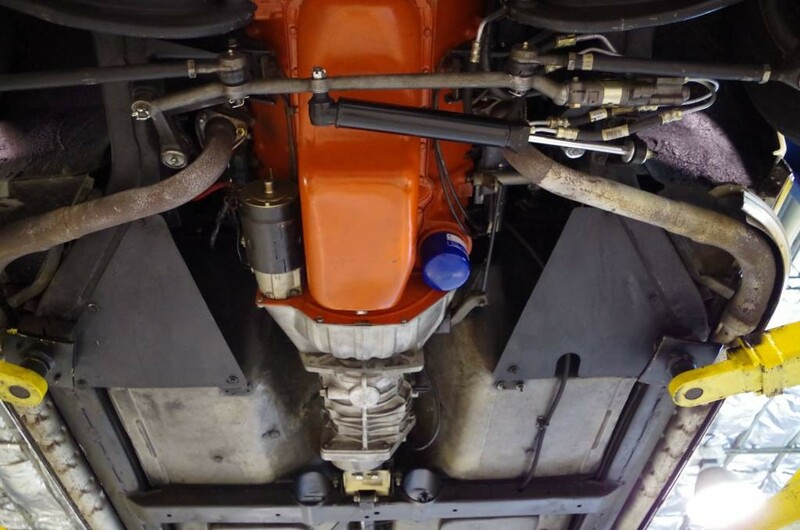 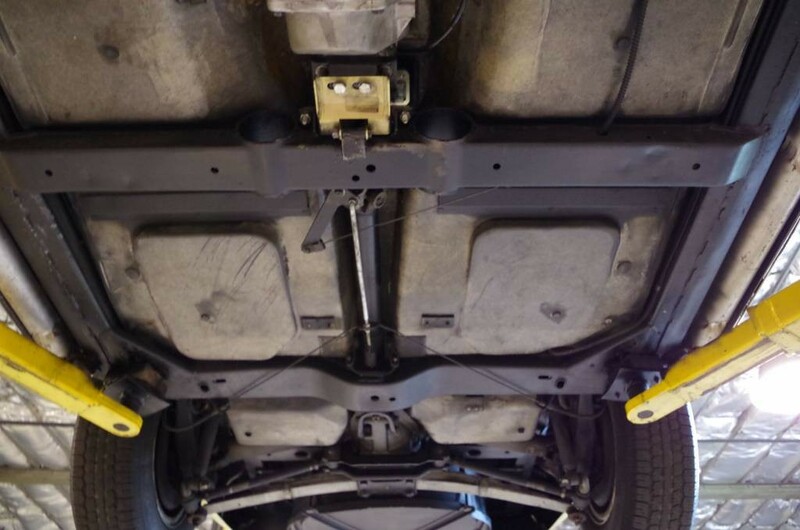 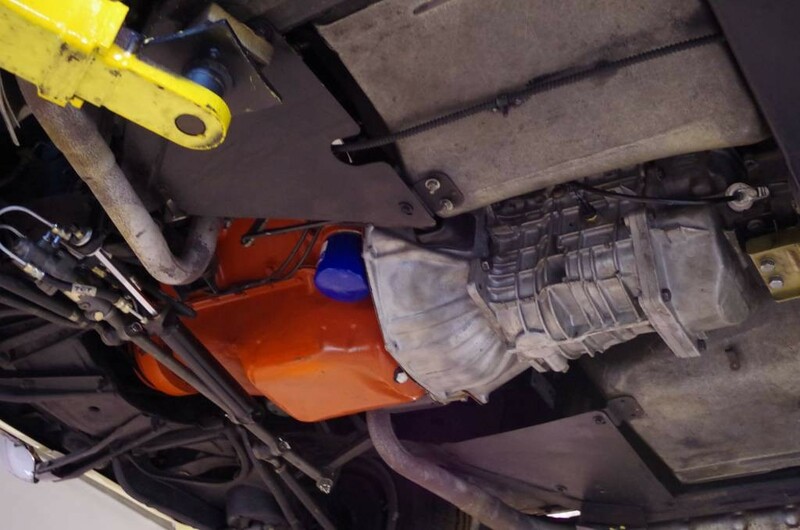 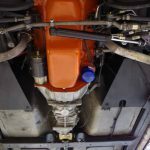 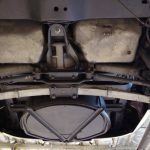 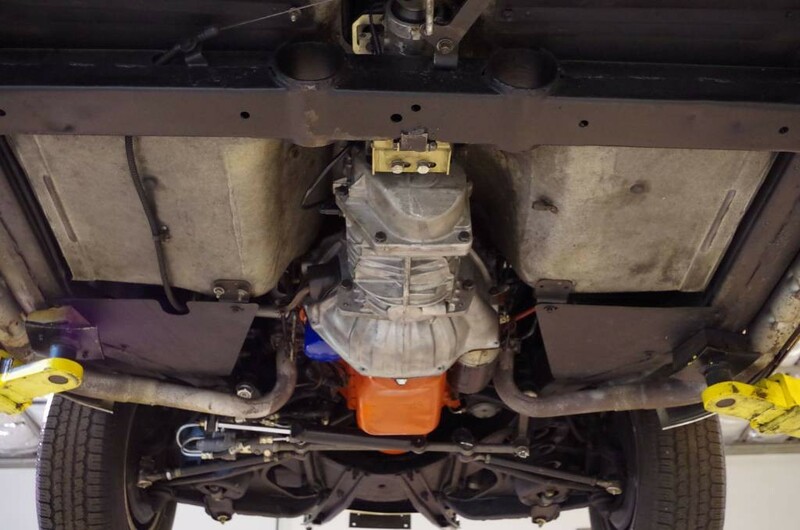 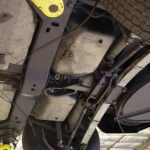 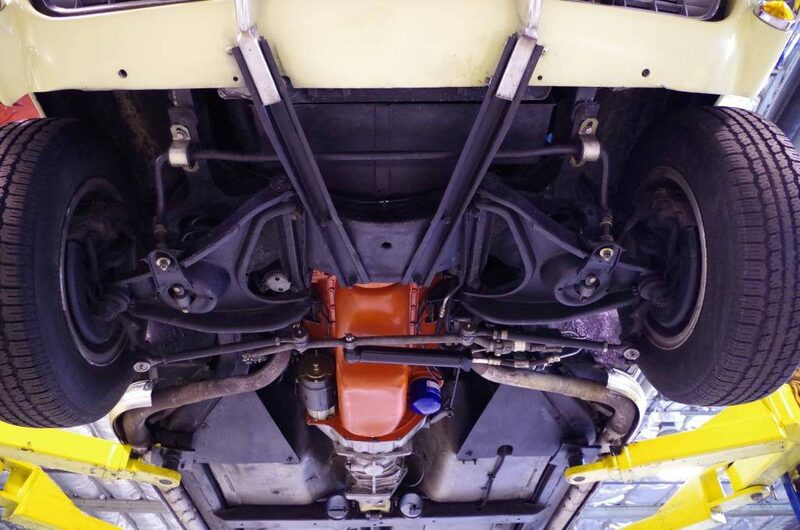 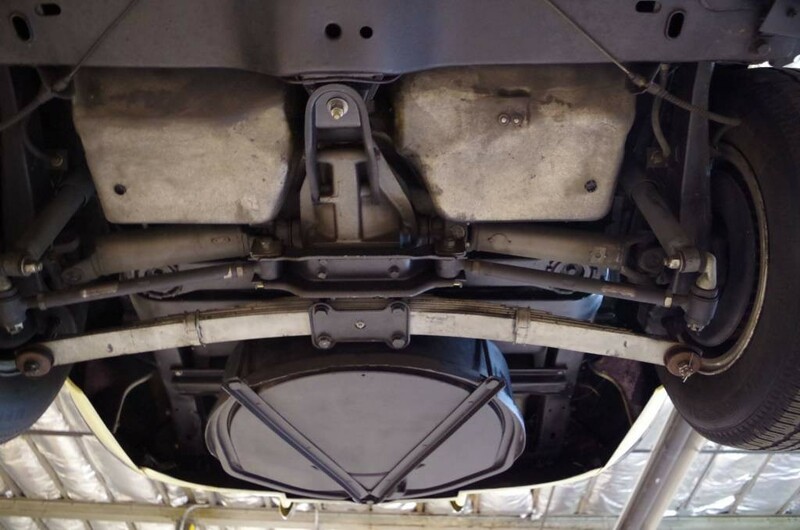 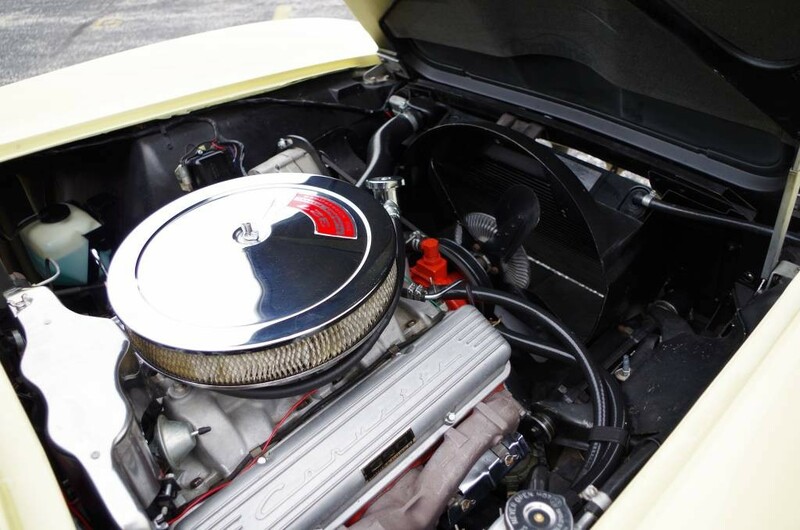 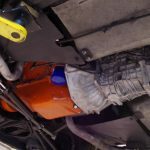 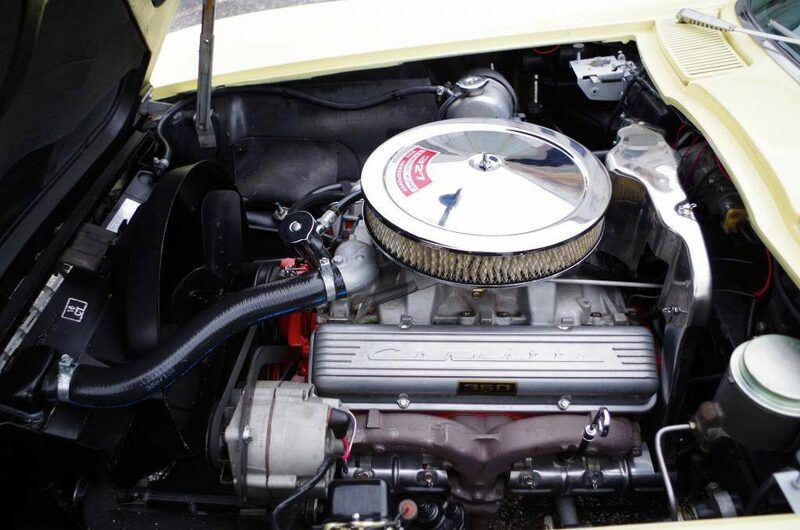 An upgrade that was added to the car was replacing the transmission with a Richmond 5 speed. 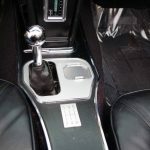 Shifting is smooth, easy, and only increases the driving experience. 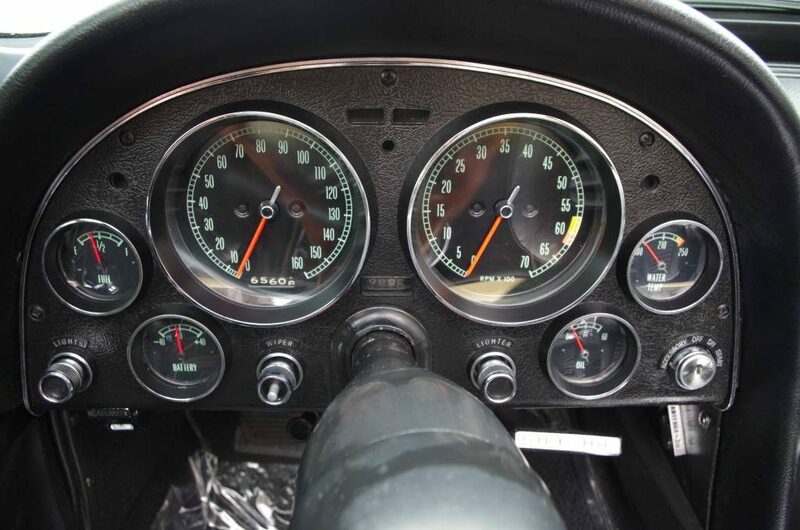 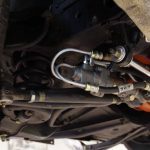 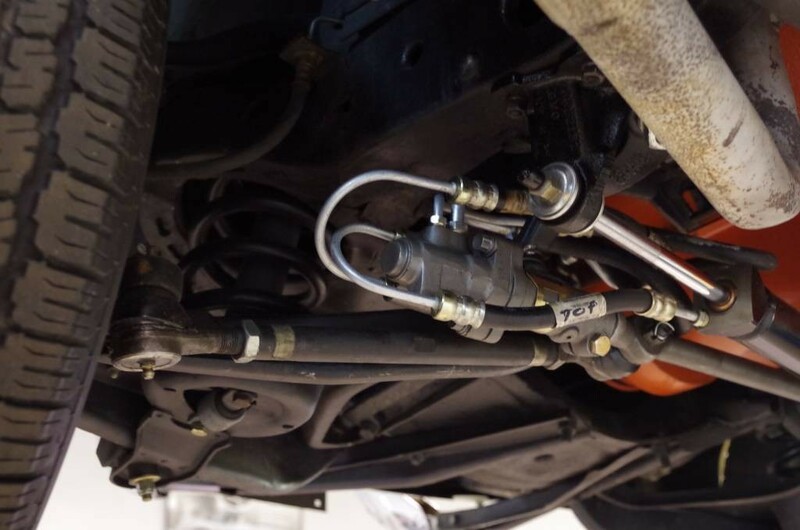 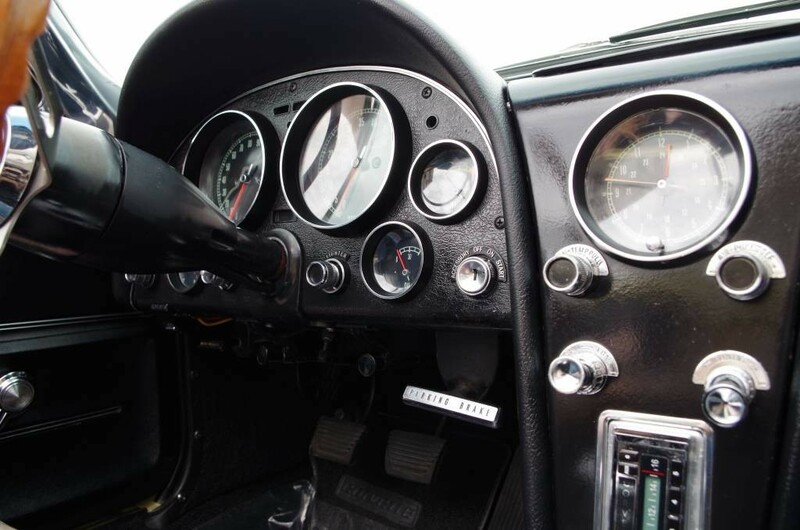 To add to that, the power steering is a welcome option that was included on this car. 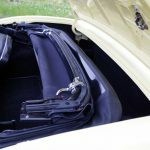 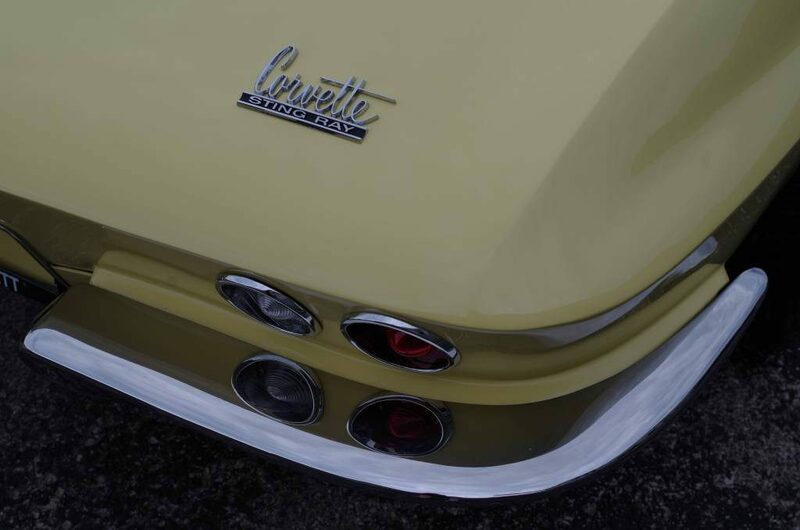 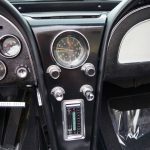 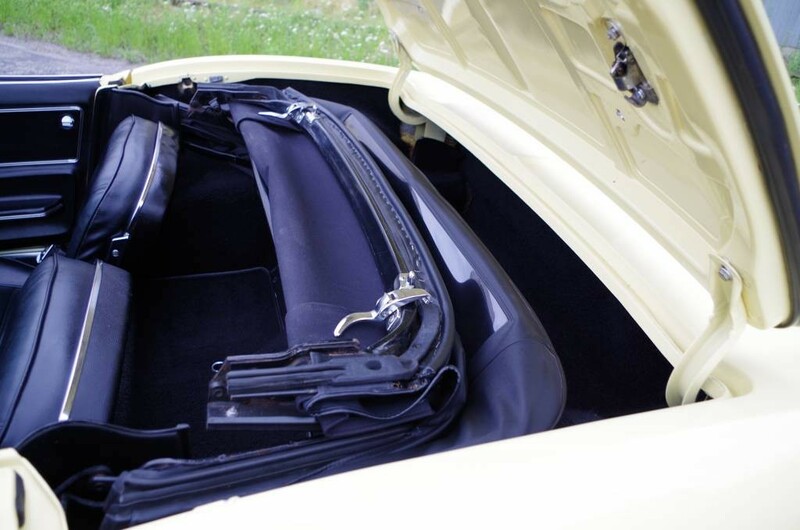 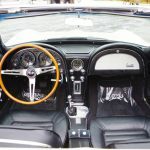 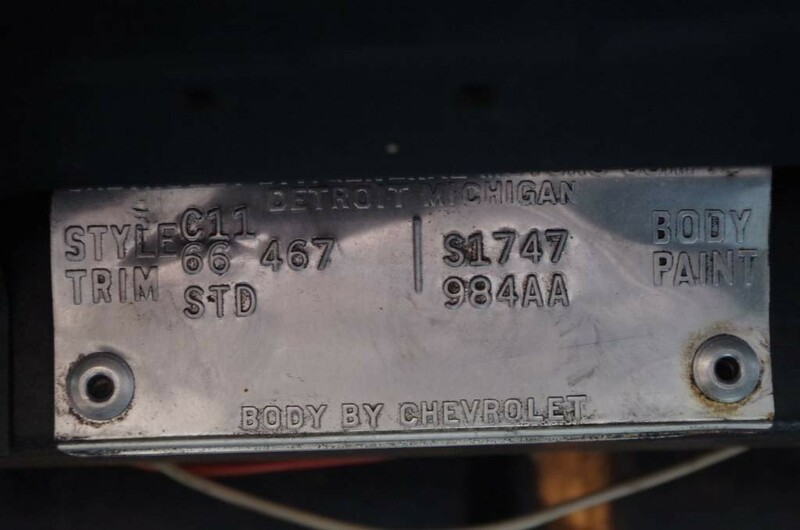 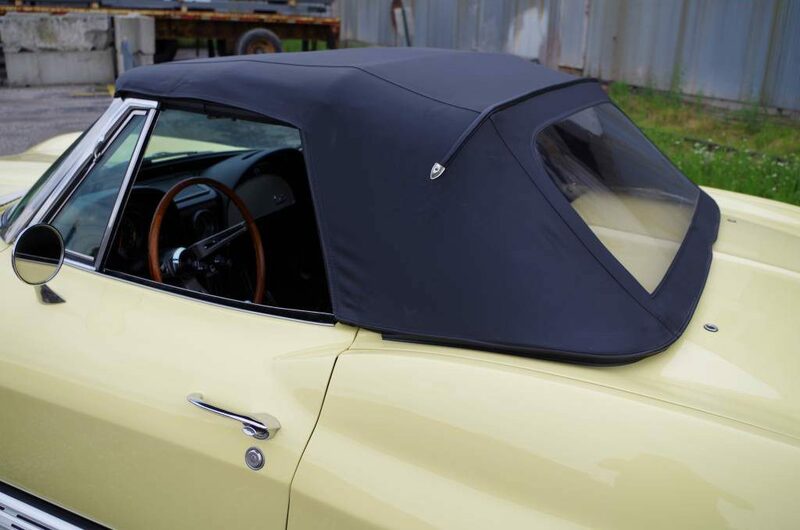 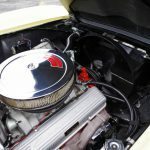 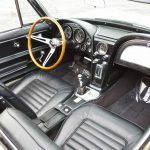 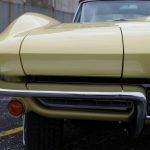 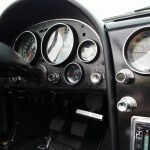 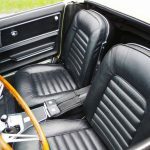 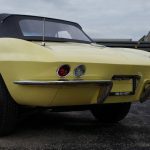 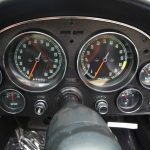 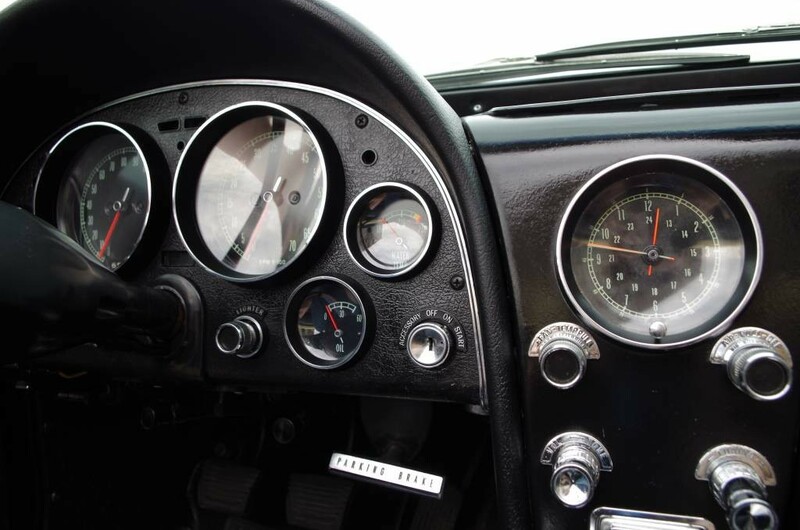 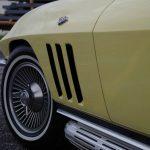 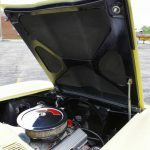 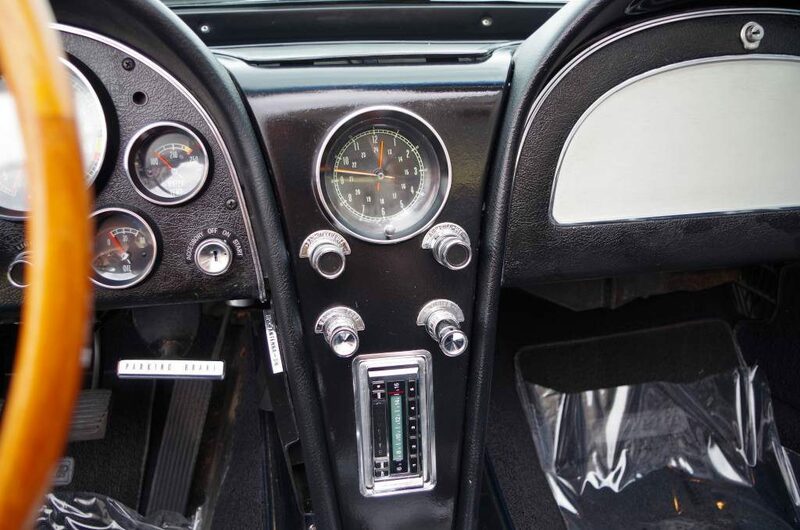 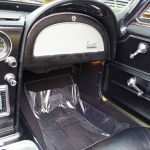 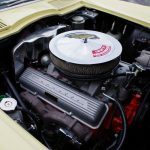 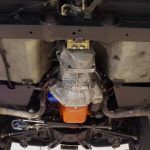 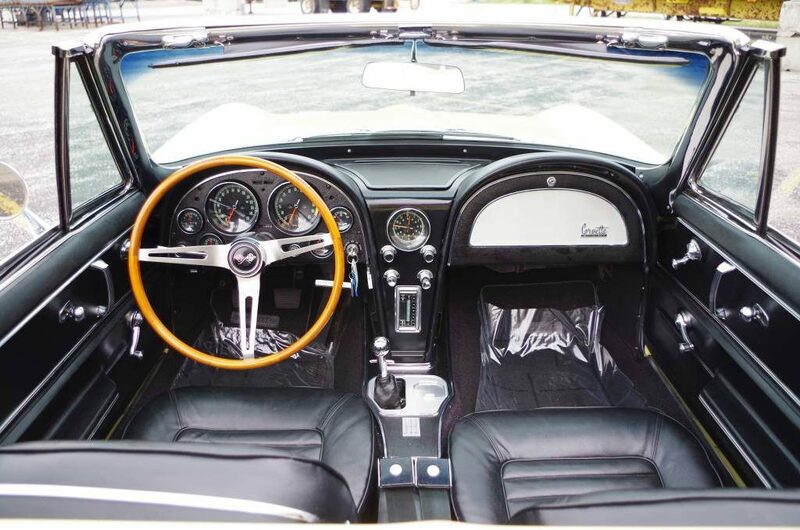 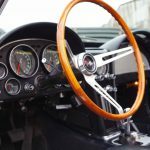 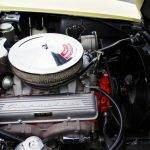 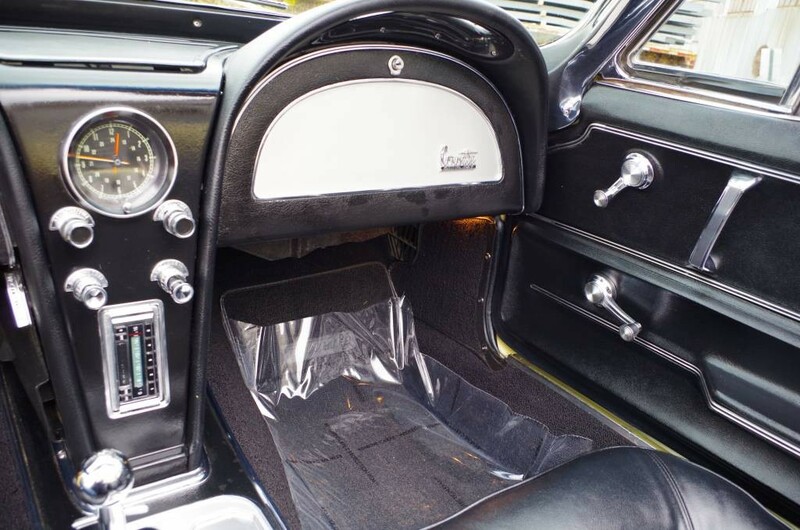 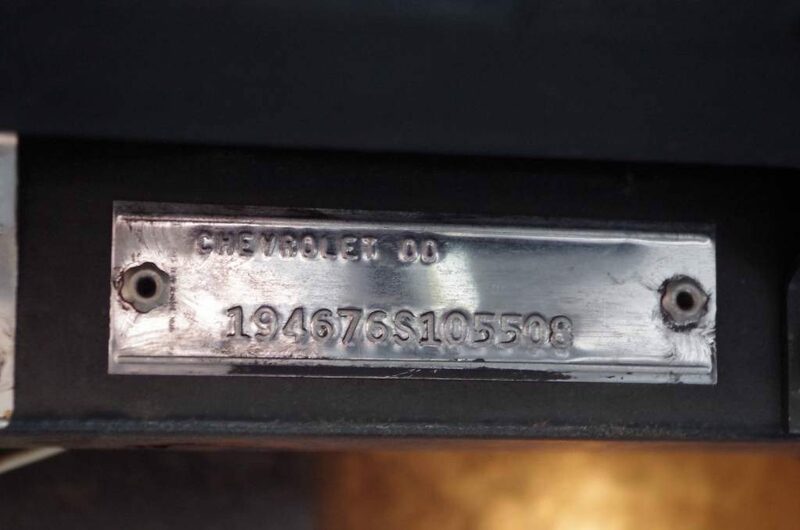 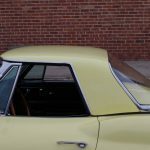 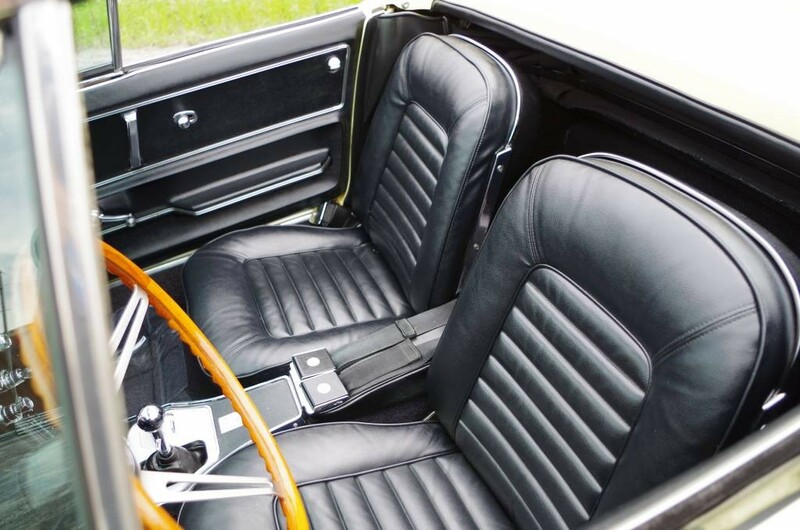 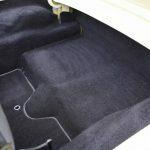 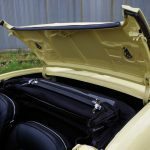 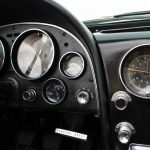 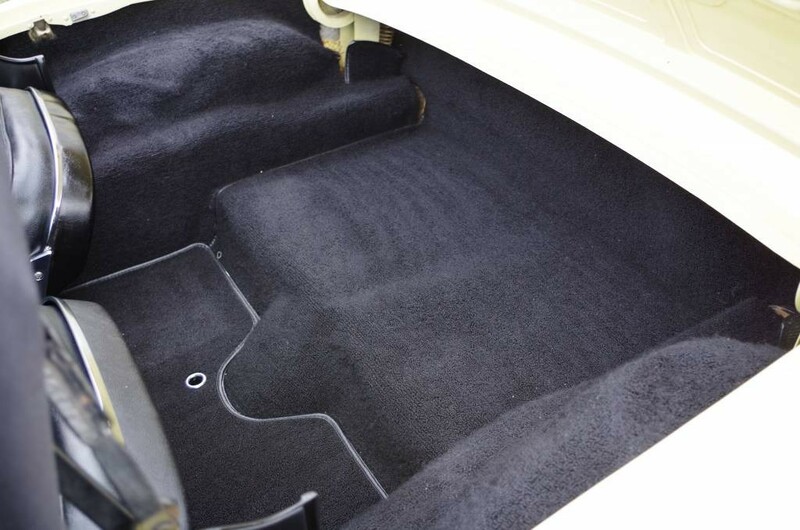 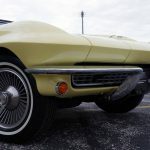 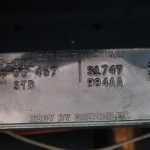 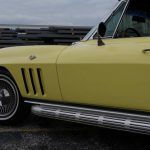 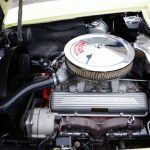 In 1966 backup lights became standard, as did Holley carburetors and few other nice details that really do make a difference: additional pleats in the seats for better comfort and weight distribution, fiberboard headliners were replaced with foam, and the Corvette script was added to the hood, just to name a few. 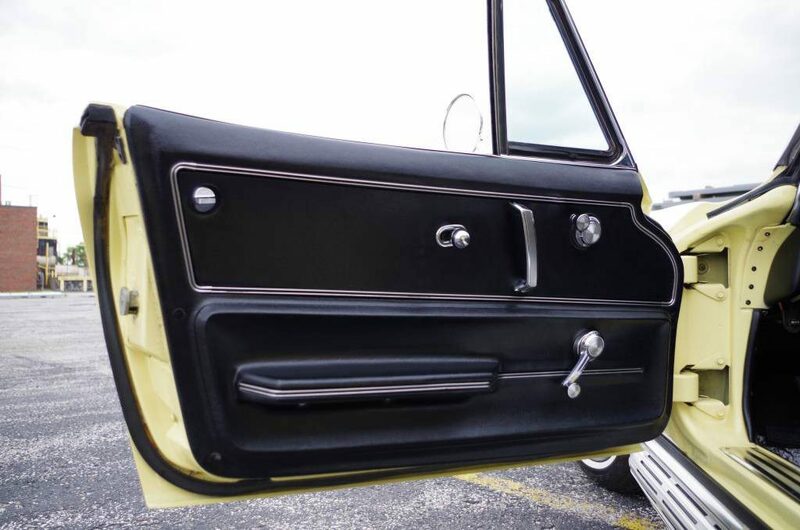 This car has all of that. 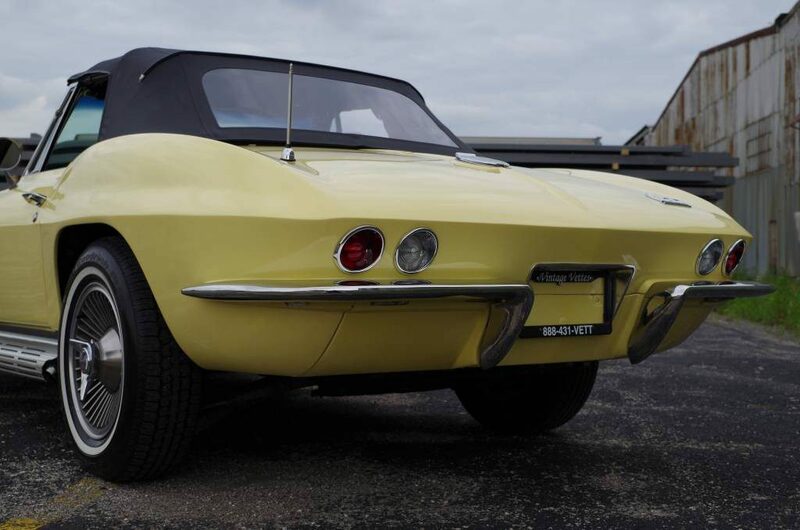 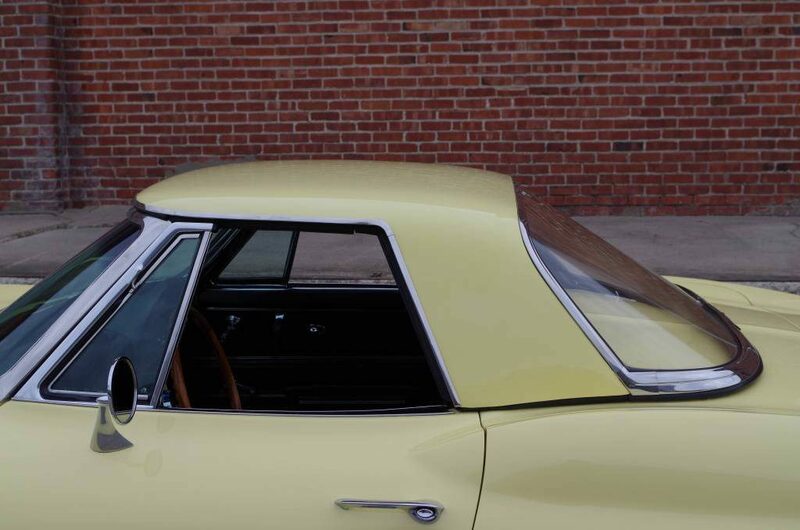 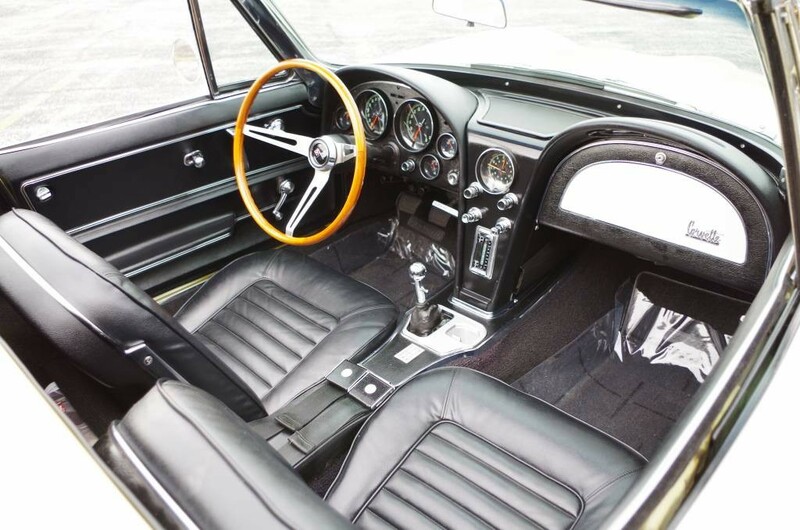 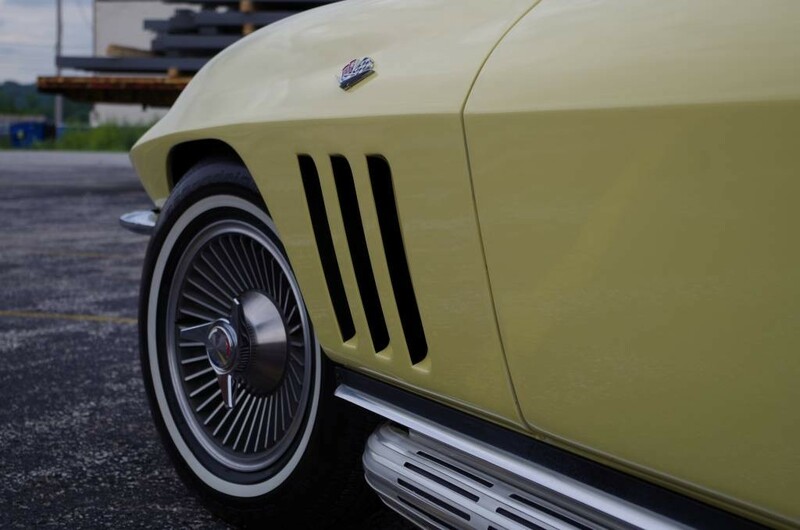 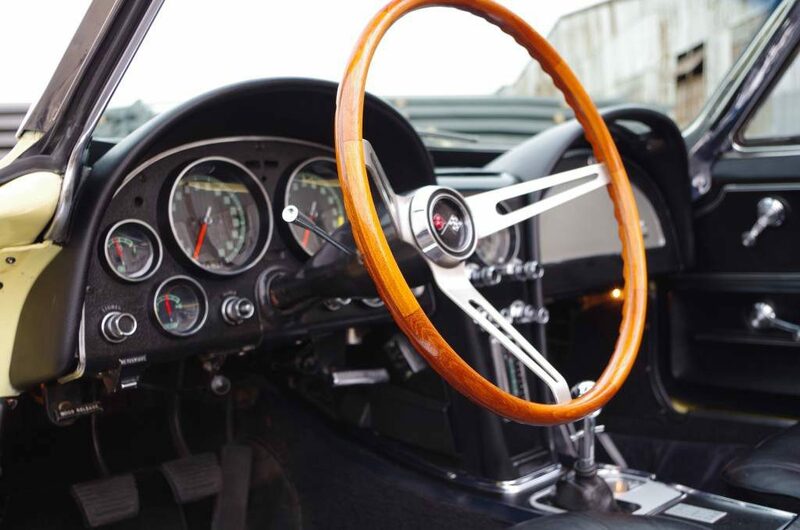 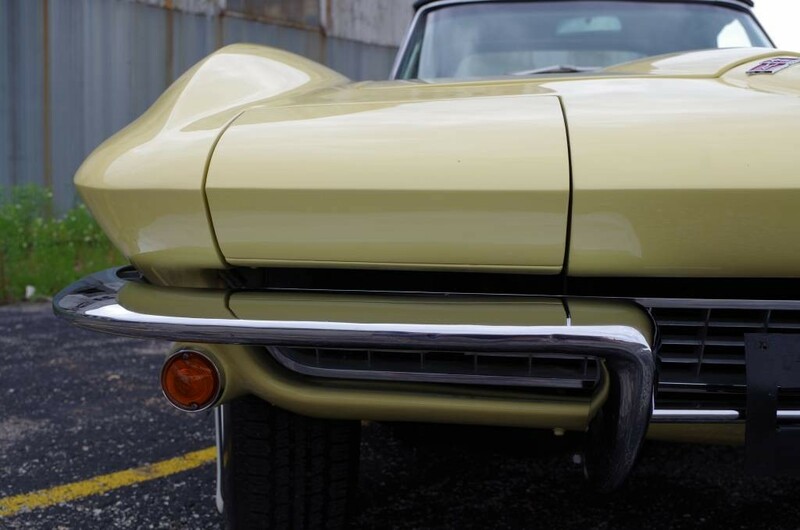 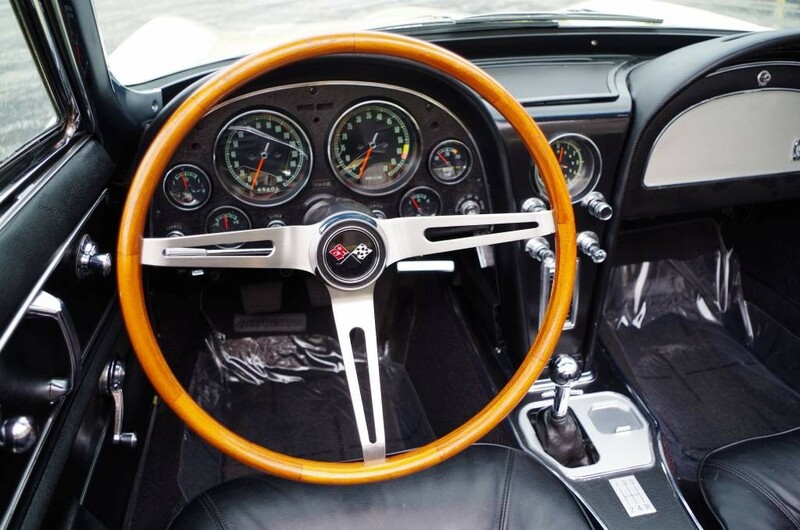 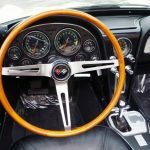 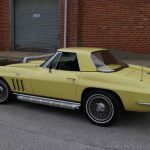 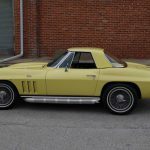 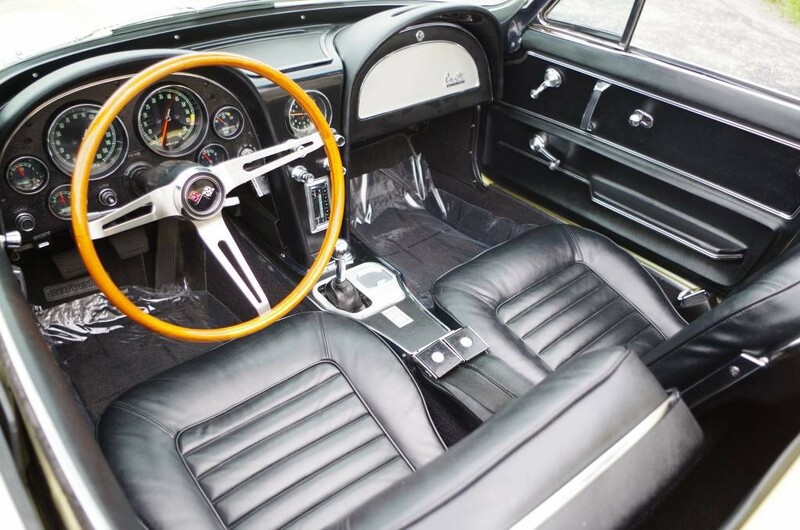 With the features and upgrades on this beautiful and easy-to-drive Corvette, it’s easy to see why 1966 is such a popular model year, and this car is a prime example of that.